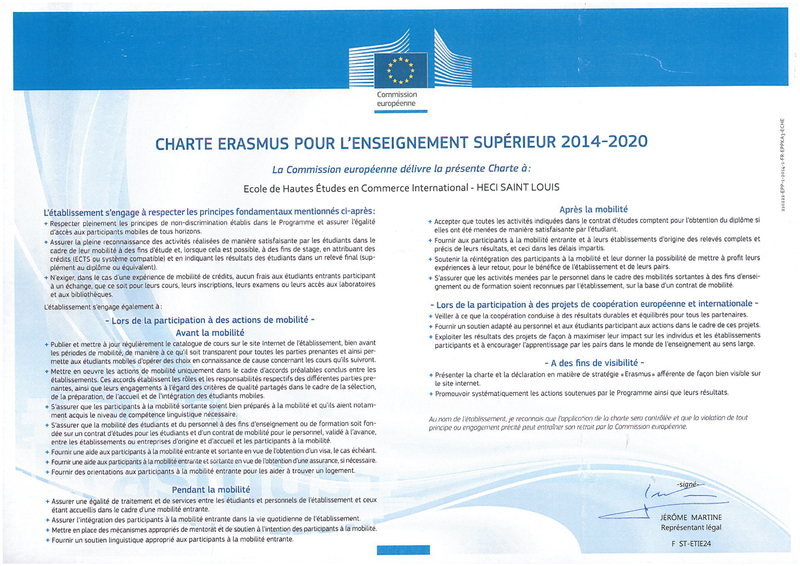 La Salle EMCI has signed the Erasmus+ charter. This is proof of the institution’s strong commitment to developing the international aspect of its programmes. This charter makes foreign mobility for students, teachers and staff easier. For students, these exchanges increase their employability and enable them to validate their skills at a European level. In the European ECTS credit transfer system, students at La Salle EMCI on outgoing mobility need to obtain a minimum of 30 ECTS credits per semester abroad. Through the Erasmus+ programme, La Salle EMCI promotes the innovation and internationalisation of trade programmes of excellence. Numerous bilateral agreements give students opportunities to choose from a wide range of destinations to not only enhance their command of foreign languages but also their adaptability to new markets.